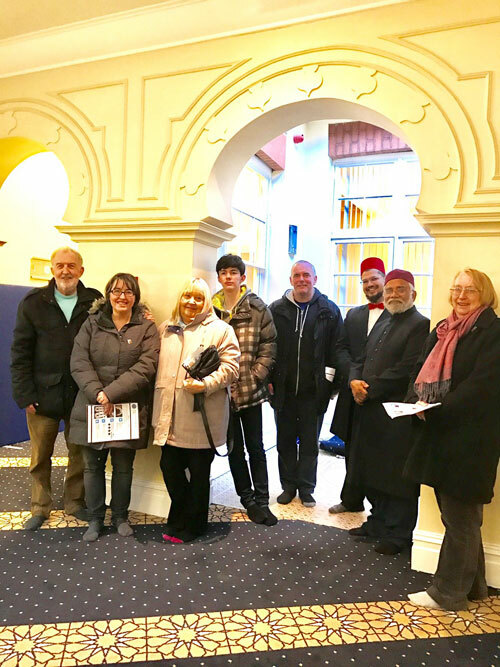 On Sunday 6th February 2017, the Abdullah Quilliam Mosque and Heritage Centre hosted a Victorian themed open day for the general public as part of a national initiative called “Visit my mosque” where 100s of mosques across the country, including several in Liverpool, are opening their doors to people of all faiths and none. 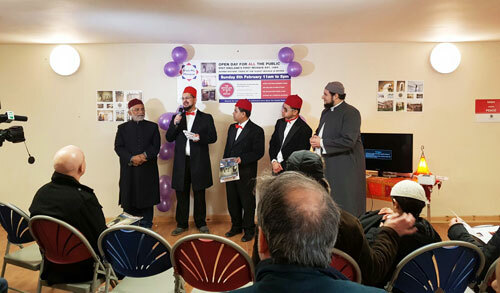 The event was hosted at England’s First Mosque at 8-10 Brougham Terrace, which was established by Abdullah Quilliam in 1889- a prominent Liverpool Victorian solicitor who rose to prominence after he converted to Islam in 1887. He formed a community of 500 white British Muslims in Liverpool and was the acknowledged head of British Muslims at that time. More than 200 people, attended from Merseyside (West Derby, Norris Green, Sefton, Wirral & St Helens) and as far afield as Cheshire and Lancaster proving the site is a faith tourist attraction in its own right. Chief amongst the visitors were the Bishop of Liverpool, Right Revd Paul Bayes and Rector of Liverpool, Right Revd Dr Crispin Pailing. 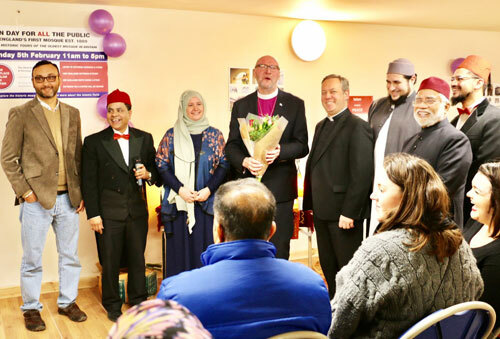 Bishop Paul spoke about historic close ties between the Christian & Muslim community in Liverpool, with Bishop Paul’s predecessor, Bishop James Jones being is a patron of the Abdullah Quilliam Society, and stressed that he stood “shoulder to shoulder” with the Muslim community through the current challenging times. The Abdullah Quilliam Society has been in possession of England’s first mosque since 2003 when Liverpool City Council relocated the Births, Marriages and Death’s Registry from the site and has spent more than £1.3million in private donations on the ongoing building restoration due to be completed within 2 years. The event was attended by members of Liverpool and Everton Football Club Supporters Group whose initiative “Fans Supporting Foodbanks” is being supported by AQS. They commented “We have been bowled over by the welcome and support we have received here. This is a hidden gem in Liverpool which we never knew about until recently. We’re very pleased to be working with them as football has the power to bring people of all colour and faiths together.” Whilst he was talking people took to social media to say “You’ll Never Worship Alone”. In all, more than 40,000 people followed the event on social media. A scouser and a muslim….whatta combo! Alhamdulillah. May all the good work be materialised sooner than we expect. My doa to all my brothers and sisters in Islam that their good work will continue in generation to come as a strong and steadfast in Iman. Aamiin.